SCM is a member of The Harmonie Group and Law Firm Alliance, two of the world’s leading independent law firm networks. Through these memberships, we partner with law firms and attorneys around the globe to provide comprehensive on-the-ground services to our clients. Membership in these groups is by invitation only. Only one member firm is chosen per market. 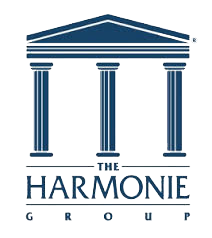 The Harmonie Group is a membership organization of independent law firms dedicated to serving the special needs of the risk industry. It is a national network of carefully vetted law firms that provide defense services to corporations, insurance carriers, captive insurance companies, risk retention groups, purchasing groups, and third-party administrators. The network also includes lawyers and law firms in Canada and around the world. More than 5,000 member firm lawyers provide “on the ground” access to their fellows throughout North America, South America, Europe, and Asia. SCM is a member of Law Firm Alliance “LFA”, a leading global network of full-service law firms. The LFA’s goal is to provide clients of member firms with access to reputable legal counsel in jurisdictions worldwide. Since its establishment in 2000, membership has grown to more than 50 law firms with close to 3,000 lawyers practicing throughout North America and around the world. To maintain quality, LFA membership is highly selective and offered on an invitation-only basis. Criteria include peer and client recommendations, service offerings and ethical standards. Prerequisites include full-service capabilities, the maintenance of substantial corporate and litigation practices, and an outward display of commitment to client service. Because of this process, clients of member firms can be sure they have chosen a top-rated firm in a particular geographical area. Through LFA relationships, clients of member firms can access this level of service in any jurisdiction.